On Saturday, April 24, the Super Six World Boxing Classic will return to SHOWTIME® with the Group Stage 2 matchup between undefeated WBC Super Middleweight Champion Carl “The Cobra” Froch of Nottingham, England and former WBA 168-pound champion Mikkel “Viking Warrior” Kessler of Denmark for Froch’s WBC world title. 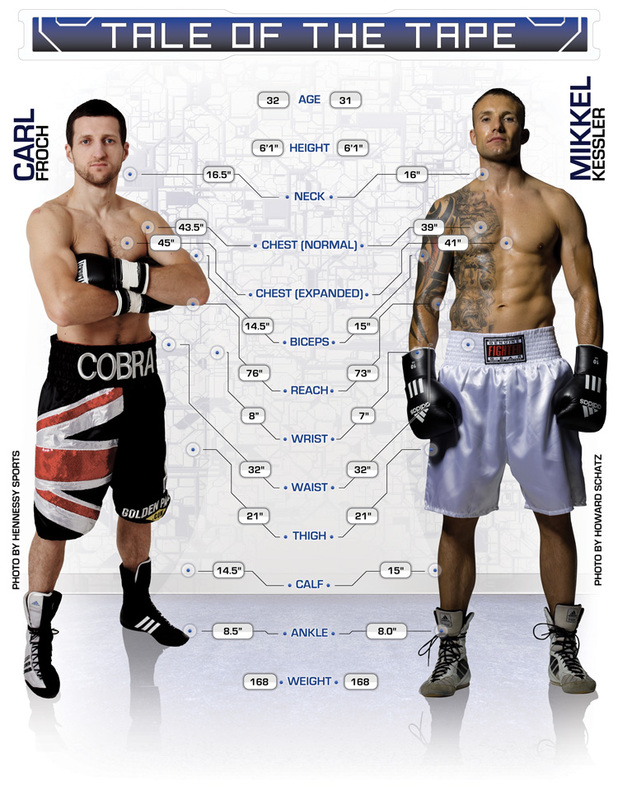 Take a look at how the two fighters stack up against one another with this special photo of the Froch vs. Kessler Tale of the Tape. Carl Froch vs. Mikkel Kessler (Group Stage 2) will air on SHOWTIME® Saturday, April 24th from MCH Messecenter Herning in Herning, Denmark at 9:00p.m. ET/PT, (delayed on the west coast).